If your garage door is off-track, jammed, or otherwise malfunctioning, it can restrict access to vehicles, tools, and other equipment. In fact, your home or business will also be malfunctioning as a broken garage door is a security risk, making your home or business vulnerable to theft, vandalism or further damage by exposure of the inside of your property to outside elements. Many reasons can be found for a broken garage door - it can result from a single mishap or from years of gradual breakdown. Whatever the cause of the problem, much bigger issues can arise in the form of malicious activity such as burglary or vandalism. This is why Neighborhood Garage Door Service’s reputation depends upon responding to garage door emergencies in and around Cleveland on a 24/7 year round basis. 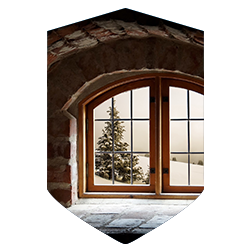 Garage door breakdowns take no account of major holidays, but we do – we will still be there for you. 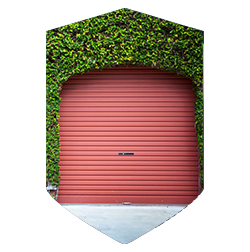 Each member of our technical crew is trained extensively in the repair of any type of garage door malfunction whatever the configuration or brand of the door. Every technician is also trained to keep you, our valued client, fully on top of every stage of the repair process. 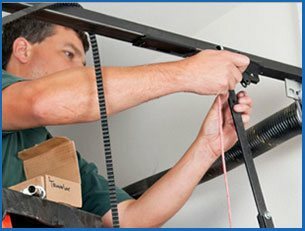 Neighborhood Garage Door Service’s professionals can also take care of repairs to malfunctioning garage door opening systems. In fact, we are the most qualified company in your area to answer all of your questions relating to garage door repairs. Many times, significant problems arise from small issues. A prime example of this relates to lock and key access problems to your garage door. A simple problem such as a broken lock or a lost key can mean you are unable to commute to your job or your business can’t receive deliveries. If you experience access problems because of a lost key or a jammed or broken lock, Neighborhood Garage Door Service will get your garage access restored in as short a time as possible. One of our mobile repair vans will be on your property quickly and fully equipped to repair your garage door and restore your access to your home or business. 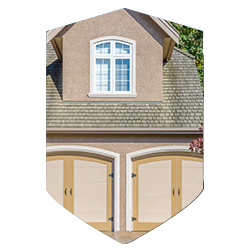 Neighborhood Garage Door Service is on call to meet all of your repair needs that are urgent. We provide the most complete and professional garage door repair services available in your area. If you have a problem, one of our mobile service vehicles can be at your premises in sixty minutes or less, and you can rely on our fully equipped and trained technicians to provide our usual high quality of service. Neighborhood Garage Door Service wants to guarantee the peace of mind of each of our clients. Our expert personnel will not only take care of your garage door repair dilemma but also advise you on what can be done to help avoid future problems. Also to help ward off future problems, we only use the best materials and components in each garage door repair, and we are not happy until our client approves our work. Neighborhood Garage Door Service always stands behind the on-demand emergency work that has resulted in our excellent reputation in Cleveland and its environs.